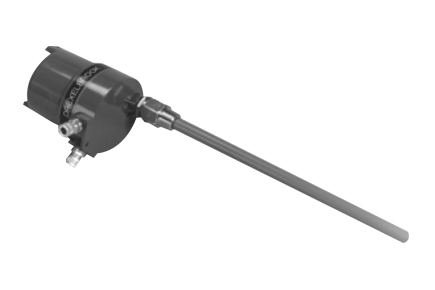 The Multipoint II Point Level RF Switch from Drexelbrook provides up to 3 switch points on one vertically mounted sensing element. The Multipoint II can be used to provide high level, high high level, and low level control points. The Multipoint II also provides an adjustable differential feature for one of the control points for pump on/pump off control making it ideal for sump level control.